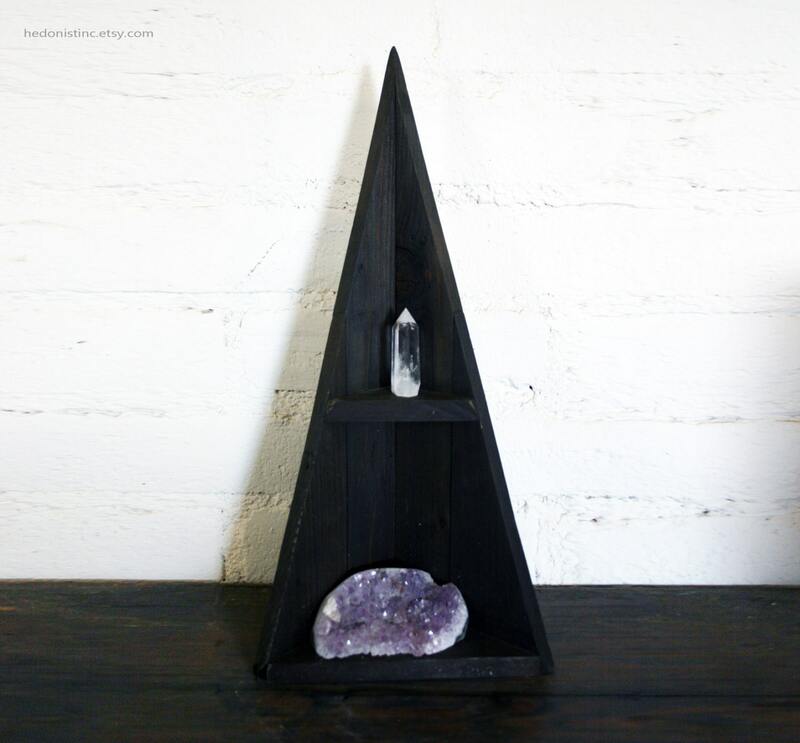 A very unique triangle shelf, made to fit snugly in any corner! 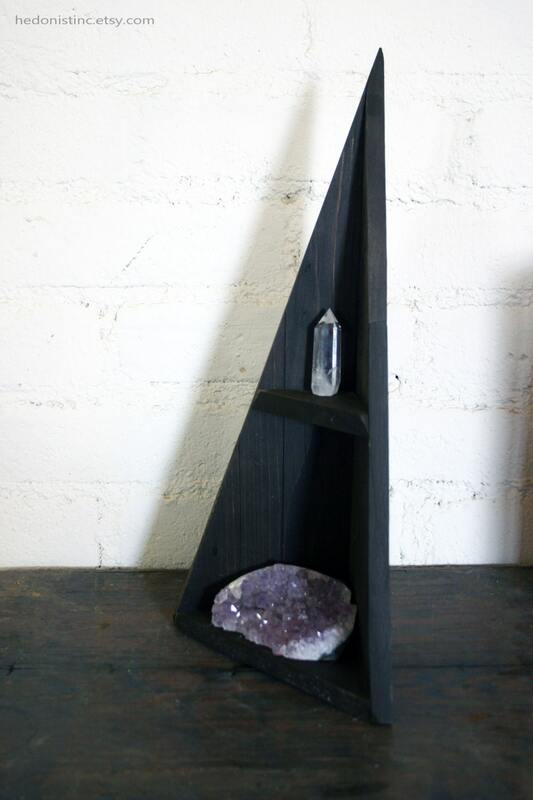 Stands 21" tall, 7.25" deep and 10.25" across, this reclaimed wood shelf is perfect for small spaces, dorm rooms, or anywhere you need to dress up a corner in your home. Measurements are approximate and may be up to a quarter inch off. This listing is for the SHELF ONLY and does not include any of the items displayed on the shelf. 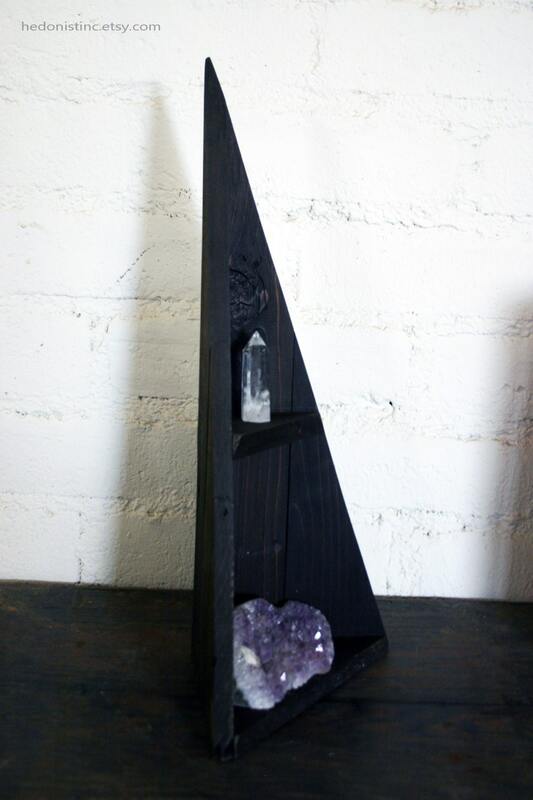 It is normal for pieces made with reclaimed wood to show wear, scuffs, scratches, chips, etc. and these "flaws" are intended and meant to add character to the piece.